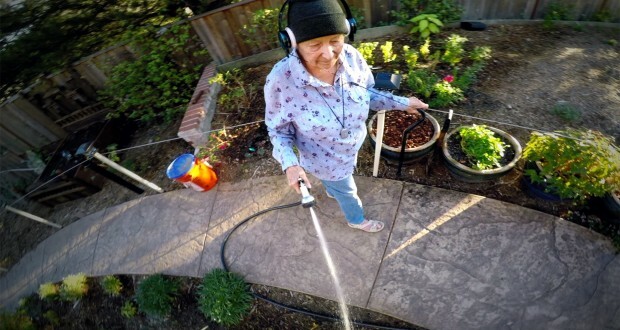 GoPro presents a grandma who knows her technology! Els van Boldrik and her dog Bill take us on a tour of their morning routine in a suburban landscape somewhere. They have one other companion – a Phantom 2 quadcopter with a GoPro HERO4 attached to it. The 91 year old granny descends from her porch with the help of a wooden stick and begins her outdoor adventure. She feeds the inhabitants of her Japanese-styled garden pond while Bill runs around. 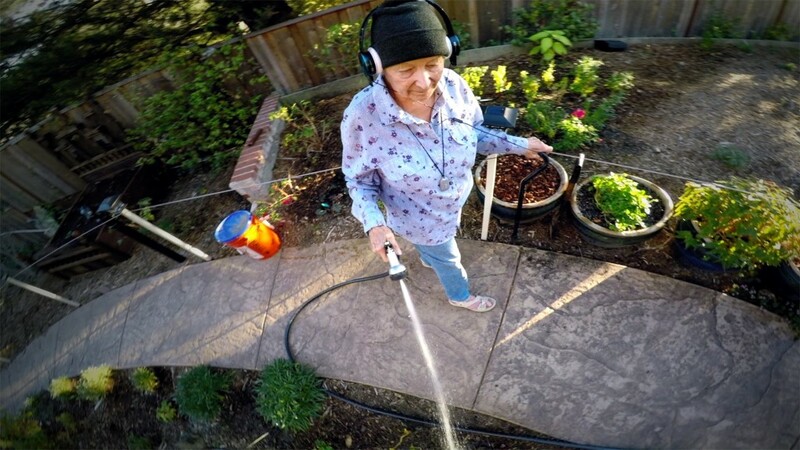 As she proceeds to water her vegetables and flowers, the quadcopter lifts us into the air and circulates providing a complete visage of the scene. Els collects some of her vegetables and heads back up to the porch with a mischievous smile on her face. Here she takes the drone controls and flies up to overlook her house and the neighbourhood. The video provides an insight into the technical background of the Phantom 2 by showing the possibilities it provides in angles and perspectives. Moreover, the quality of video is obviously outstanding. On the other side, GoPro states that anyone can operate a quadcopter — even a 91 year old person! However, a lot of people claim that this video is fake and she is not really operating the quadcopter. Just take it for what is it — for entertainment.